Group health insurance rate increase - Less than 3%? Group health insurance rate increases – Less than 3%? We work with expert consultants that can help you sort through your specific risks and rewards and can help you set up just the right plan design that will maximize results while keeping your people safe and well cared for. Here is a chart showing all group insurance rate increases on custom-designed plans intended to provide benefit-rich plans while implementing our proven track-record of controlling rising health care costs AND limiting rate renewal increases based on trend. Let us prove to you that you could save money like these groups above. They are not special. They simply follow our proven method. 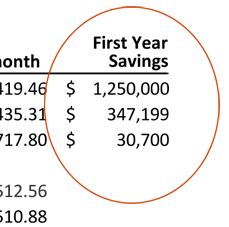 The lowest saved $30,000 a year, and another over $347,000. All documented. With very little risk. (See the detail below.) Groups both large or small. Cost/Unit/Month should take this into account when trying to estimate cost – We are confident our numbers are some of the lowest. This custom plan design has an optimal group size of 20+ units overseas, however we can help smaller groups and have done so for a number of years using a series of advanced techniques to save each group money WITHOUT reducing/cutting benefits. Our average rate increase for groups using our custom-designed plans is 1.90%. As can be seen, not every group is the same. Some have large health challenges. This group has gotten hit with a large, ongoing cancer claim (3 years)…like having a shock claim 3 years in a row. We were able to keep their increase to 5% in 2013 even with the claim. This claim could have been resolved differently and so we devised a way of addressing the larger issue, so it doesn’t affect their rate increase again next year and ongoing. This 18% increase in 2014 is already fixed and the group had only a 4% increase for 2015. Even with the increase in 2014 (due to large unexpected claims), this is the start of their 4th year with us and they are at the rate they were at 3 years ago, plus they have 415K in the bank. Our plan design isn’t a “magic pill” so we like showing this because it does prove that even when bad things happen (and they do), your health plan has to be able to anticipate trouble and address issues in order to offer solutions for 5-10 years in the future. 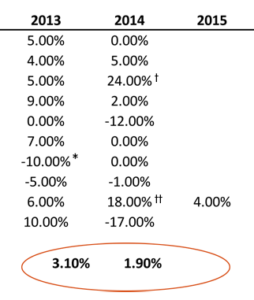 Our average rate increase for groups in 2013 was 3.10%. The largest increase was 10% for any of our groups with claims. We were able to lower one group and another had a zero percent increase. Ask yourself if these are rate increases you are experiencing now. Or if they are increases that your staff could live with. 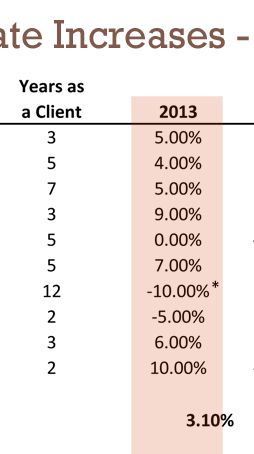 This group which had a 10% DECREASE in 2013 had a zero percent increase in 2014 as well. One of our oldest groups, their claims are so low that we were able to negotiate lower rates. Basically the way our groups are set up, carriers fight for our groups and that means offering our groups better deals to keep the groupmin the carrier’s book of business. No change in benefits…in this case we actually added a little more benefit this year. 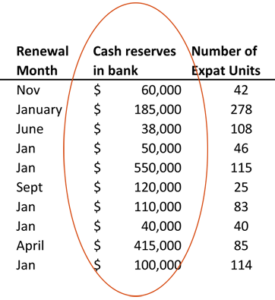 Cash reserves reflects current amount in the bank “created by the health plan” on an ongoing basis, as opposed to cash reserves set aside by the organization out of other funds. This fund is under the control of the organization and can be used to mitigate future increases, to increase benefits, or underwrite staff health costs. One of our new groups projects $750,000 in reserves for the year 2015. First year savings for new groups is based on comparing past premium to new current premium. Our plans are all with well-known U.S.-based carriers. While many brokers can claim first-year savings by switching carriers if groups have a good claims history, our method is set-up to guarantee future sustainability and performance for 5-10 years, which is a very different thing than dramatic single-year savings by switching. The short answer is no. All of our new groups and renewals are designed to actually offer increased benefits (rather than decrease benefits to save money), and to help insured staff use benefits in such a way as to make groups attractive to insurance carriers and mitigate future claims. We would be happy to discuss this further in-person to help you understand this concept, since no one else seems to understand, or help groups mitigate, long-term renewal rate increases in a predictable manner. 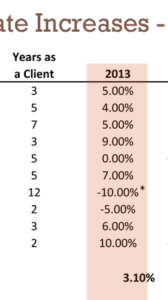 We present our average rate increase for two years (as well as show “number of years organizations have been our clients”) in order to demonstrate that we are not using switching, or simply using groups with clean records (good claims records) in order to make our case. Our history and numbers speak for themselves. That is why we put this web page together. In order to show overseas organizations that there is a better way. And hopefully save them money that can then be used to further the aims and work of their organization. Since Good Neighbor Insurance began over 17 years ago, this has been a primary goal and stated value: To serve both individuals and overseas organizations, helping them to stay safe while saving money. We use all of our considerable experience and talent to that end. To help organizations be better stewards of their resources. And offer priceless service. If you would like to see what we can do for your organization, or would like to realize similar savings to those published here, simply give us a call at (866)636-9100 and ask for the group department, or email group@gninsurance.com and we’d be happy to advise you for free. Learn more at http://www.selffundedhealthinsurance.com or request our free guide that explains self-funded advantages and pitfalls as well as newer, partially self-insured plan designs. 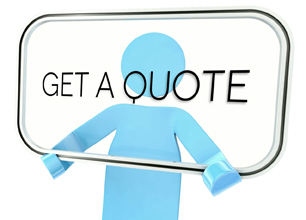 Tired of costly Group Health Insurance rate increases? Stop overspending due to two-digit rate increases! Industry-standard rate increases are 9-12% (even without claims), based on trend. BUT our groups are renewing for much less for two years running. They’re also set up to continue at single digit increases in the future – Without adding risk or reducing benefits. This is the plan design other organizations are now using to save hundreds of thousands of dollars a year – [The lowest saved $18,000 a year, and another over $380,000]. Documented. With very little risk. Find out what we are saving their organizations and workers every month. If you would like to see what we can do for your organization, or would like to receive similar savings to those published here, simply give us a call at (866)636-9100 and ask for the group department, or email group@gninsurance.com and we’d be happy to advise you for free.